Bloodline is a 2018 American psychological horror film directed by Henry Jacobson in his directorial debut. The film was written by Avra Fox-Lerne, Will Honley and Jacobson. 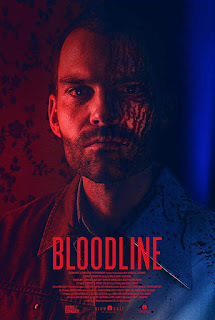 It stars Seann William Scott, Mariela Garriga, Dale Dickey and Kevin Carroll. The film was produced by Divide/Conquer and is being released by Blumhouse Productions.